You know those expensive roasted peppers you find at the store in a jar, or in a restaurant topped on a bed of greens with a slab of goat cheese for $8. This is an easy treat, and costs about $1. Preheat oven to broil on Hi. 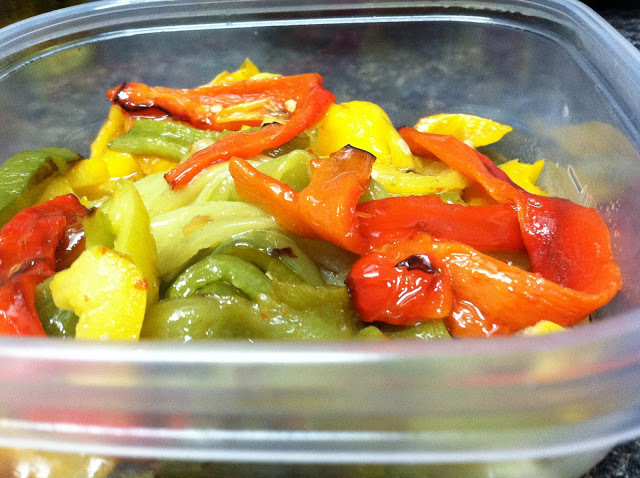 Cut the bell peppers in half and remove the seeds and stems. 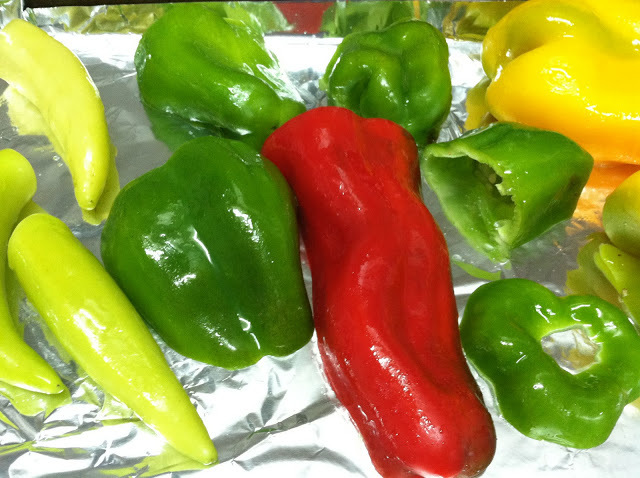 Line a cookie sheet with foil, and lightly coat the peppers with olive oil. Broil for about 10 minutes. Check frequently to see if skins are charred. 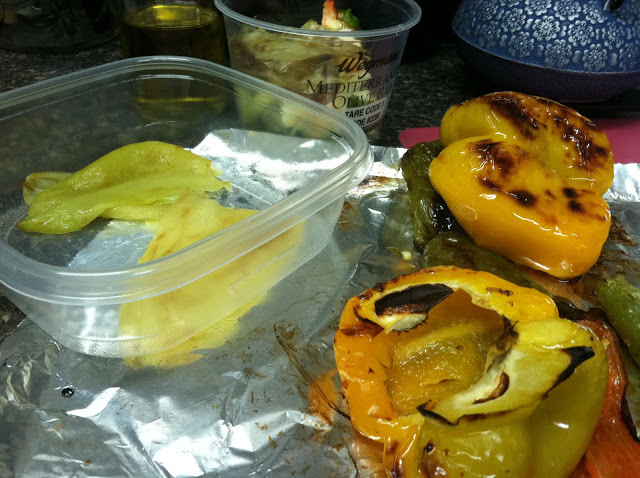 When charred, turn peppers over and broil until cooked. Remove from oven and cool until manageable to handle. Peel the skins from the peppers - they should slide right off. Slice into slivers and add to a tupper ware or jar. Cover with olive oil and desired seasonings (S, P and rosemary are nice). Store in the refrigerator for up to one week. Use for sandwiches, salads, garnishes, and snacks!